New Concept Photography provides the most reasonably priced photography services on the front range. We invite you to visit our studio for a custom quote. We are professional storytellers. Tell the story of your wedding with a cinematic keepsake. Don’t compromise on quality when reliving one of the most special days of your life. Also, keep in mind that a friend or family member who is intent upon recording your wedding day cannot enjoy this occasion as a guest...he is too busy working for you. And if the video does not meet your expectations will you feel comfortable expressing your disappointment? Will your displeasure affect your relationship? Is there much difference between video services? Why shouldn't I necessarily choose the company with the lowest price? You should be aware that many people in the business of videotaping weddings are amateurs. As with relatives or friends, such well-meaning individuals often do not have the technical background, experience or equipment to do the job well. Professional videographers work under very challenging conditions. By the very nature of a wedding they cannot control the lighting, the composition or physical positions of the participants. They are literally at the mercy of their environment and only through experience do they know how to adapt to variable situations and still capture the emotions and facial expressions that an amateur might miss. The individual you hire should also be skilled at working with people: you, your family, the wedding party, the presiding official and your photographer. How do I find the right wedding videographer? It's a fact of life that price plays a key role in determining your selection of Vendors. Once you determine your spending limit, then you can begin to appraise videographers in the four areas that differentiate them: equipment, experience, style and individual personality. Equipment and experience must meet a certain minimum level before you can evaluate style. Most professionals now use digital cameras and digital editing equipment. But the equipment doesn't do all the work. That's where video experience, and more specifically, wedding video experience comes into play. Wedding experience means how long the videographer has been shooting weddings and how many he has done. How much should I expect to pay for a professional video? On average, the cost of a professional wedding videographer is 10 percent of your total wedding budget. That is a small fraction of the cost of your reception! Yet with the exception of your photos, your video is all you have after your wedding day...it is the ultimate permanent record of this memorable event. Fees are determined by the experience of the videographer, technical/professional level of equipment, number of cameras, length of time at your event and the selection of additional premium services (elaborate photo montages, personalized endings, etc). Let your overall wedding budget and the amount set aside for photos be your guide. Quality video requires an investment equal to quality photography. Will the video equipment be distracting during the ceremony? Because modern video equipment is compact, portable and silent, the most important consideration is whether or not the videographer has the skill to avoid intruding on the ceremony. The camera should remain stationary on its tripod. He should be sensitive to your needs, the requirements of the church and officiant. He should do his best to stay out of the way, yet cover all-important events. I want to be sure to hear our vows on the video. Will this be possible? If the ceremony was to be recorded using the camera's built-in microphone, your vows would most likely be inaudible . . . these microphones lose clarity at distances beyond 7-10 feet. A knowledgeable videographer will utilize professional wireless and wired microphones, generally worn by the groom and minister and/or placed near musicians and readers. Should I consider multiple camera coverage for my ceremony and reception? Yes, if your budget permits . . . it is worth the expense. A two (or more) camera production gives different views of the same event or allows each videographer to capture different activities that may be occurring simultaneously to create a more interesting video. Good editing integrates the camera footage together . . . selecting the best views from each camera . . . to make your wedding story more dramatic and compelling. Where are multiple cameras placed at the ceremony? One possible camera placement is on the groom's side of the altar, slightly behind the officiant performing the ceremony. This position usually can get good close- ups of the bride during the vows and ring exchange. Another good location is a second floor loft or balcony overlooking the altar area and giving an overview of the entire church . 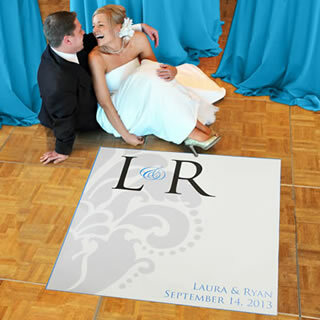 . . or placed at the back of the center aisle to provide a wide angle overview of the ceremony as seen by your guests. A third camera could be situated on the bride's side of the altar to provide close-up shots of the groom. Camera placement outdoors or in a hotel will depend on the physical layout of the particular venue. If my ceremony or reception location is dimly lit, how will my video look? Lighting will determine the quality of your video. Most churches have sufficient lighting to produce acceptable video. For best results the lighting should be balanced and uniform. While experienced wedding videographers usually have professional grade, low light digital cameras, it is wise to make maximum use of the interior lighting to ensure the best quality recording. Although ceremony lighting is often selected to create the appropriate atmosphere or mood, you will want to consider how a low light ceremony will affect your video and then decide on the best light level for your personal needs and priorities. If the house lights are insufficient, your videographer should light your reception events with a low-wattage, on-camera light. This compromise solution allows him to provide adequate lighting, yet remain unobtrusive. Should I expect my videographer to attend my rehearsal? Whenever possible, your videographer should attend your rehearsal. 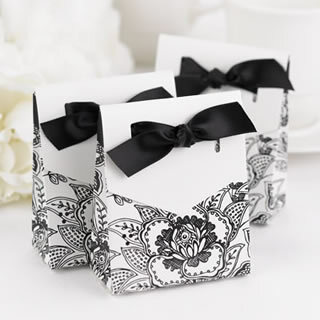 This enables him to avoid unpleasant surprises, such as having attendants, candles and flowers blocking the camera's view during the vows and ring exchange. His familiarity with your ceremony location does not necessarily ensure proper placement of cameras and microphones for your particular wedding ceremony. This is also an opportunity for the videographer to meet with the officiant to discuss any concerns each may have as well as meet the wedding party and members of the wedding families. 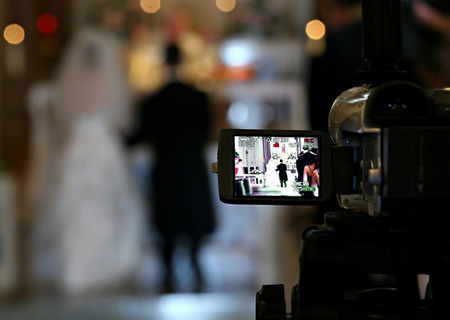 How much video is actually recorded and what is the average length of a wedding video? About 4-6 hours of raw, unedited footage is typically recorded for a two-camera ceremony/reception. Ceremony only coverage would be in the 2-3 hour range. A tightly edited video of the ceremony and reception runs anywhere from one to two hours depending on the length of the ceremony and the amount of time you have hired the videographer to cover your reception. Professional videographers shoot a lot of footage to make certain they capture all the special moments and then use their post-production editing capabilities to condense the raw footage, adding music, titles, and special effects. Post production is the most time consuming part of their job...much more so than the time they spend recording your wedding day. It is not unusual for a videographer to spend 30 to 40 hours to create your wedding heirloom. Is editing necessary since I want to see everything that was recorded? Editing typically means combining the best footage from all cameras to produce an unparalleled memory of your day. It eliminates unnecessary duplication that is boring and involves the addition of titles, music, still photos and special effects (fades, dissolves, etc.). Editing is used creatively, to give your wedding production better pacing and capture the natural beauty and personality of your event. What kind of coverage does the 'typical' wedding video include? A wedding video usually begins with introductory titles. This may be followed by exterior and interior views of your wedding location. The more elaborate video packages contain pre-ceremony coverage to include part of your photo session (with the permission of your photographer) and last minute preparations before you actually go down the aisle. Next, the entire ceremony is recorded from the processional to recessional and everything in between. Post ceremony footage may show you signing your wedding license and/or departing in your limo. 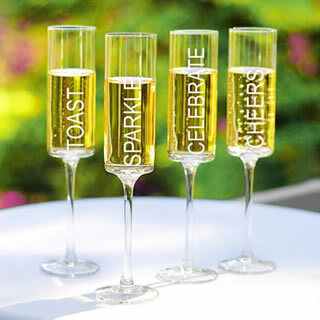 Should you select ceremony/reception coverage, your videographer will continue to your reception location and tape the customary activities: your introduction into the reception, first dance, toasts, cake cutting, father/daughter dance, bouquet and garter toss; and ...at your request... personal messages from guests. Other popular, premium services which increase editing time and add to the cost of your video are: pre-ceremony coverage at bride's home, photo montages, love stories, highlight montages, the short-form wedding edit, Hollywood style movie credit presentation of your wedding party, a personalized ending and your wedding video on DVDs. What about the restrictive policies some churches have? Most professional videographers respect and abide by the existing rules of a church or ceremony venue. While they can readily provide you with professional expertise to explain your video concerns to the church coordinator, it is the client's responsibility to request any changes to these policies. 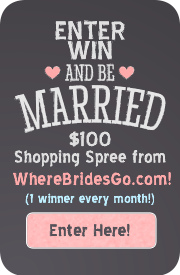 If the restrictions are too rigid and limiting you may want to consider searching out another wedding location. What will happen if my videographer is ill, injured or has some family emergency? This is a potential problem for any date/time specific event. If you have selected a wedding videographer who belongs to professional associations and networks with other local videographers, it is likely a back-up arrangement can resolve this risk. Most professionals limit their liability to returning money paid by the client in the event of non- performance and state this in their contract with you. Should I provide a meal for the video crew at my reception? It is a welcome courtesy if you provide a meal for your videographers. Wedding videography is a physically demanding job...and the workday can often start early, and last well into the night. Proper nourishment is critical to quality work. It need not be a full-course meal but something that can be provided quickly so that they are ready to work again at a moments notice. Many reception venues include the option for you to purchase vendor meals. It's also thoughtful to ask your caterer to set up a small table in the corner of the reception room or a side room for your Vendors to eat. 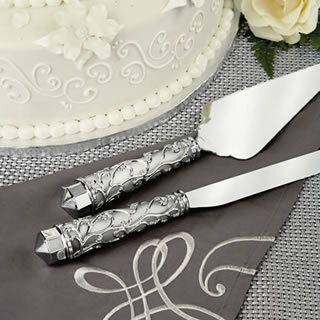 Normally your wedding service providers eat their meals while the guests eat. Inform your officiant that you intend to have your ceremony videotaped. Discuss your wishes concerning video during the initial meeting with church/ceremony personnel to clarify existing policy. You need to be aware of any restrictions and video guidelines. 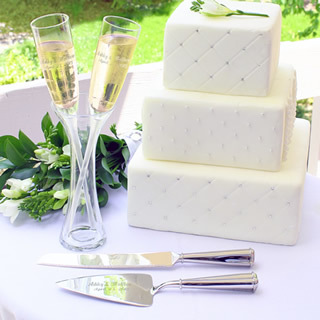 Furnish all information needed to complete your wedding video on time. Consider providing a light meal when your videographer is working for you five hours or more. If parking is at a premium, designate a parking space for your videographer ... time searching for a parking place is time away from working for you. Make your payments on time as defined in your contract. How long should it take to get my finished video after the wedding? This usually depends on the time of year and your timeliness in delivering needed materials to complete the video. Weddings tend to be seasonal. Most occur on weekends from May through October...the warmer months in many areas of the country. Videos that are developed and refined in post production can take from one to six months after the event to complete. The more lengthy production time is due to the combination of seasonal workload and the labor-intensive editing process.